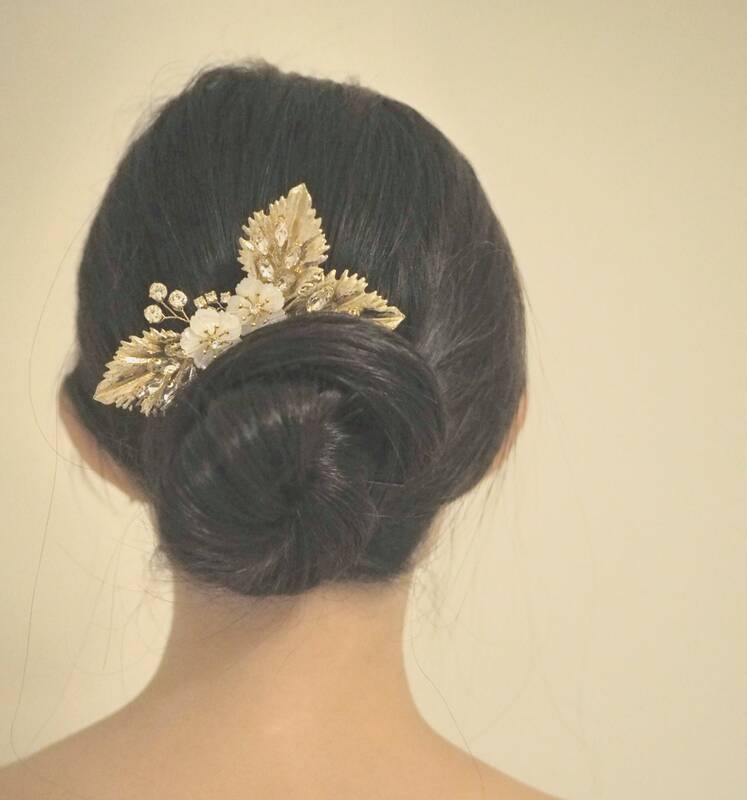 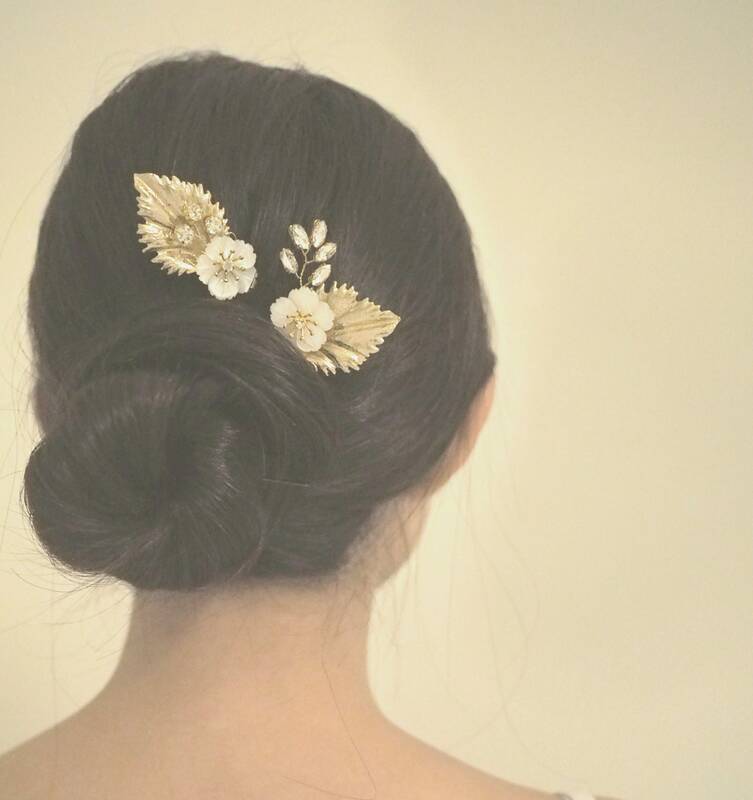 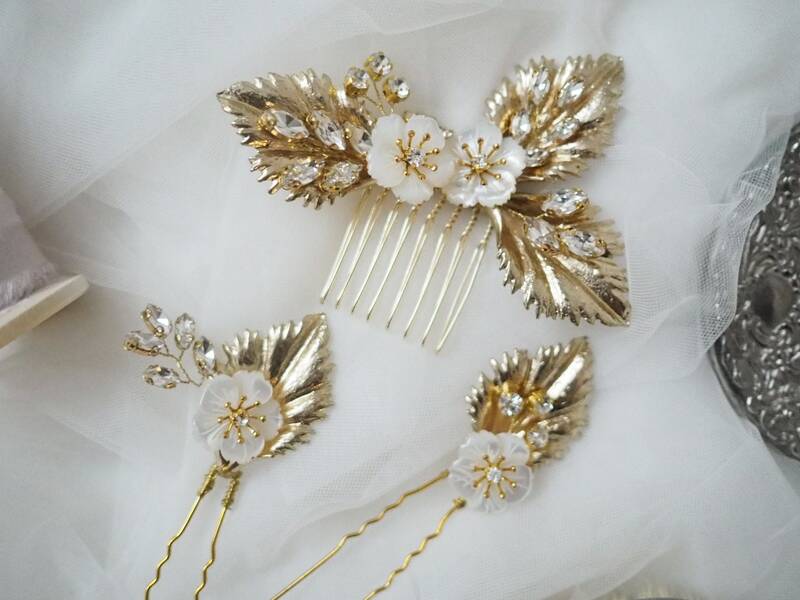 This set of bridal haircomb and pins set of three are handmade with mother of pearls blossoms, crystals of marquise and round cut and golden brass leaves charms. 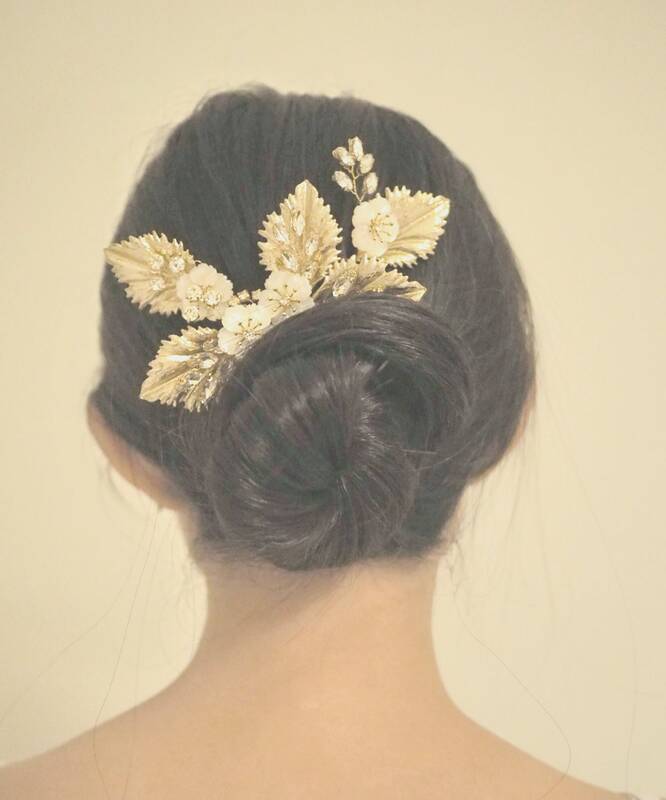 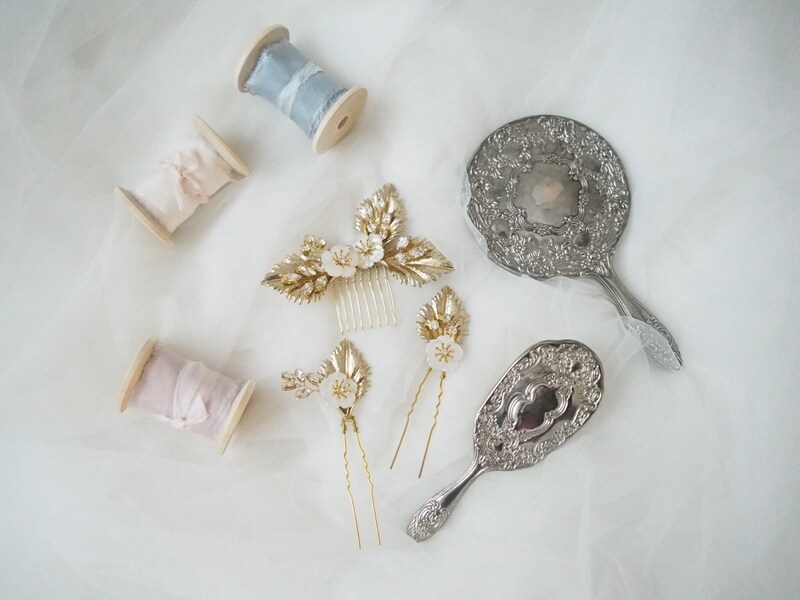 The set can be worn together, to be styled according to the brides' preference andd arrangement on her hair; or the bride can wear the haircomb alone and share the pins with her bridesmaids! 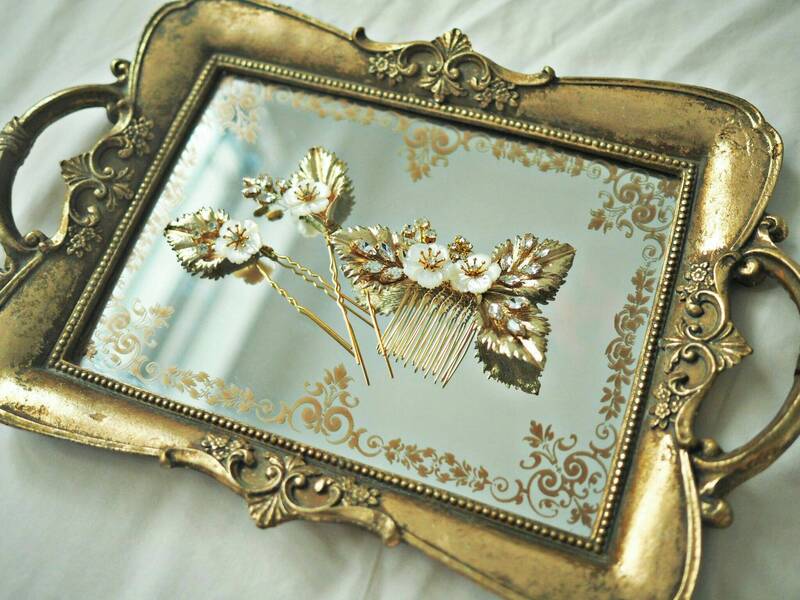 Free shipping worldwide, packaged in our protective box.